Study daily, 11 latest current affairs & news headlines in English from The Hindu news with The Tutors Academy. 1. The runners are back in Meghalaya in strength after more than a century — not to deliver letters like their predecessors, but to relay messages to and from polling booths. Ranikor, in South West Khasi Hills district, is one of two Assembly constituencies where by-elections are scheduled for August 23. The other is South Tura in West Garo Hills district. Ranikor has hilly pockets that have no road or mobile phone connectivity. This prompted the Election Commission to go back to the era when the postal department employed runners to deliver mails. Mail runners became redundant after the advent of the railways in the 19th century but continued to work in far-flung areas. They were immortalized by Bengali poet Sukanta Bhattacharya in the early 20th century, while Tamil actor-producer Ram Arun Castro played a mail runner in Oattathoodhuvan-1854 (The Mail Runner) in 2015. 2. Three years after it gave in-principle approval to the project, the Delhi Cabinet on Friday passed the proposal for installation of 1.4 lakh CCTV cameras at a cost of ₹571.40 crore. (11 Latest current affairs & news headlines in English). 3. The Khangchendzonga Biosphere Reserve (KBR) of Sikkim, the highest biosphere reserve in the country that includes the third highest mountain peak in the world, Kanchenjunga (8,586 m), has been included in the UNESCO’s World Network of Biosphere Reserve (WHBR). The decision was taken at the International Coordinating Council of Man and Biosphere Reserve Programme, UNESCO, in its 30th Session held at Palembang, Indonesia, last month, a press release by Ministry of Environment and Forest and Climate Change said. 4. Centre launches portal for scientific research, funding. 5. 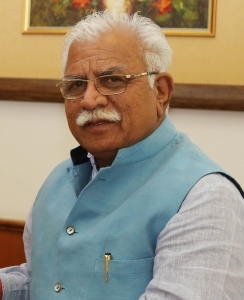 Haryana Chief Minister Manohar Lal Khattar has come up with a suggestion that disclosing of valuable assets kept in lockers of the banks be made mandatory. 6. The Personal Laws (Amendment) Bill, 2018 introduced in the Lok Sabha on Friday seeks to strike down leprosy as a ground for seeking divorce. The bill was introduced by Minister of State for Law. 7. The Union Cabinet on Thursday approved three amendments to the Muslim Women (Protection of Rights on Marriage) Bill, 2017. It now allows an accused to seek bail before trial. An FIR can be lodged only at the insistence of the wife or her blood relations or those who become her relatives by virtue of marriage. The offence can be compoundable with both parties having the liberty to withdraw the case. (11 Latest current affairs in English). 8. Some 2,500 Nagarik Seva Kendras (NSKs) in Assam began issuing claim, objection and correction forms on Friday for people excluded from the complete draft of the National Register of Citizens (NRC) published on July 30. 9. 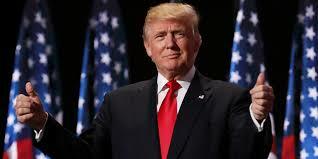 President Donald Trump’s administration has quietly started cutting scores of Pakistani officers from coveted training and educational programmes that have been a hallmark of bilateral military relations for more than a decade, U.S. officials say. The effective suspension of Pakistan from the U.S. government’s International Military Education and Training programme (IMET) will close off places that had been set aside for 66 Pakistani officers this year, a State Department spokesperson said. The places will either be unfilled or given to officers from other countries. 10. The Musculoskeletal Society of India (MSS) is making a concerted move to identify and propose advanced learning fellowships at centres of excellence in the country, after securing the requisite permission from the Medical Council of India. (11 Latest current affairs & news headlines in English). 11. Nobel prize-winning scientist Marie Curie was the most influential woman in history, the BBC found in a poll. Readers of BBC History magazine ranked Polish-born Curie at the top of a list of 100 women who changed the world, for her role in treating cancer. Meaning – A large number of similar things coming in quick succession.